"I am passionate about helping women and men look and feel confident. I love helping people see how beautiful they already are and how confident they can be." Tina has worked in the fashion and fitness industry since the early 1990's. In NZ and overseas. She has an Exercise Science degree and a Diploma in Professional Makeup Artistry. Weddings, TV commercials, fashion shows, photo shoots, corporate videos, performance art, hair shows and more - Tina has a wide variety of experience. She combines her knowledge from the fitness industry with her experience styling photo shoots to help men and women dress their body shapes to look and feel more confident. 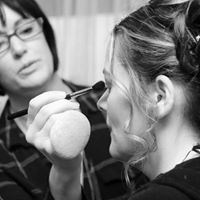 Tina is an extremely professional and accomplished hair and makeup artist and style coach. Tina loves to dance and is a Zumba Fitness instructor and the mother of 2 boys.